I pass a lot of interesting things when I'm out and about campus, so I thought I'd show you some of the more interesting things. 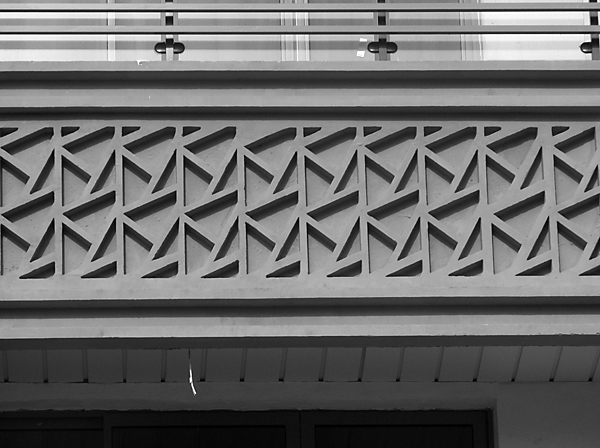 This pattern is all over our apartment building and the ones near ours. The architectural style here is very heavy on patterns and geometric shapes, much more than back home. 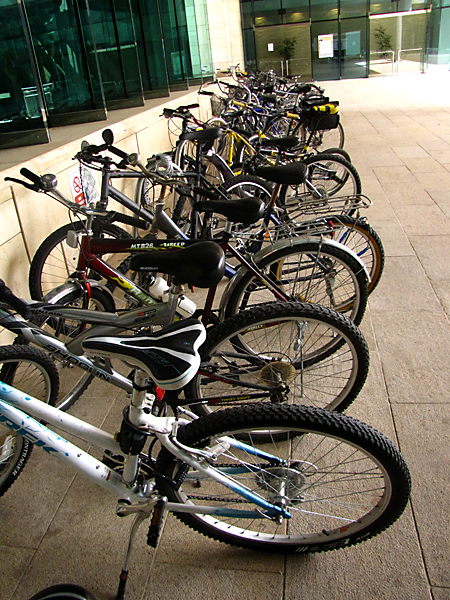 Almost all of the student ride bikes to class and most of them end up parking here outside the library. Some days it can even be hard to find a parking spot! 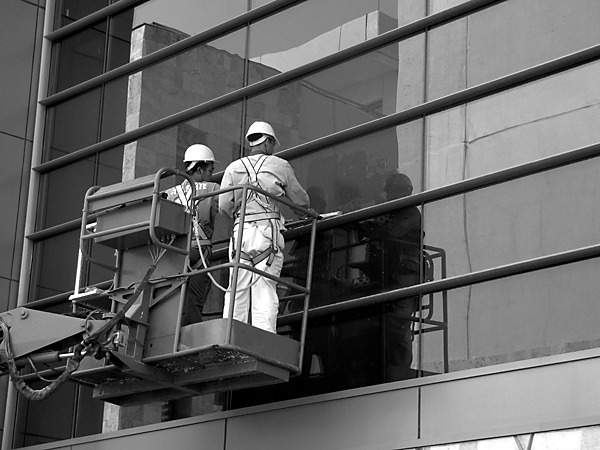 There are tons of windows on campus, and at one point or another they all need to be washed. Unfortunately the only way to wash them easily is with a cherry picker, so I usually see a couple of these every day. This is the exterior of the community library. 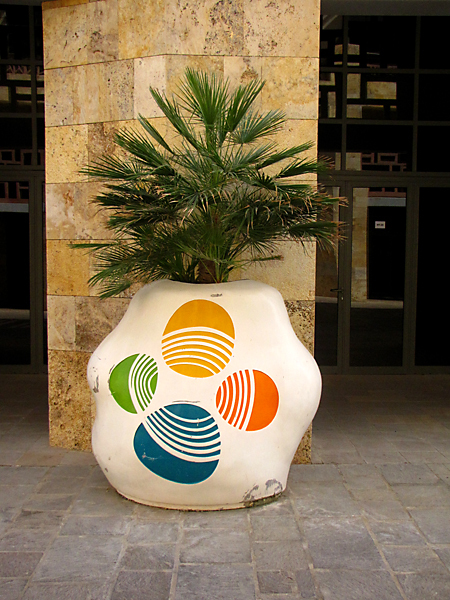 These are by far the ugliest flower/tree pots I've ever seen. Some things just don't need to be emblazoned with the school logo; this was one of them. 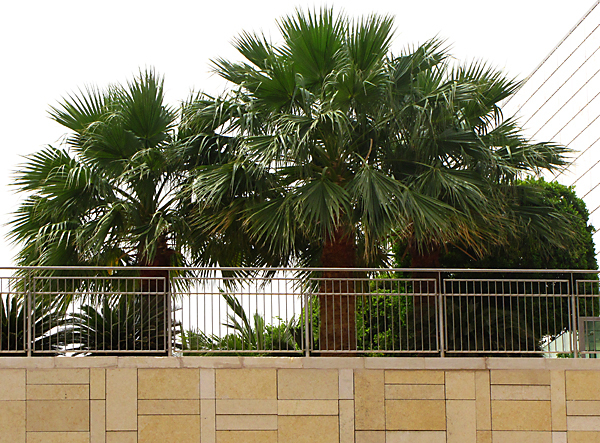 Palm and date trees are the most numerous trees on campus. There are other types, but none of them are ones I would recognize. Flowers blooming on a tree outside of the academic library. This is one of those trees that's not a palm or date, and therefore I have no idea what kind of tree it is. 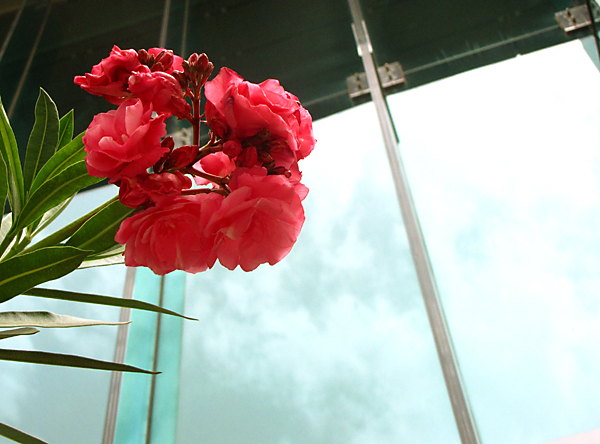 It does however have pretty flowers.